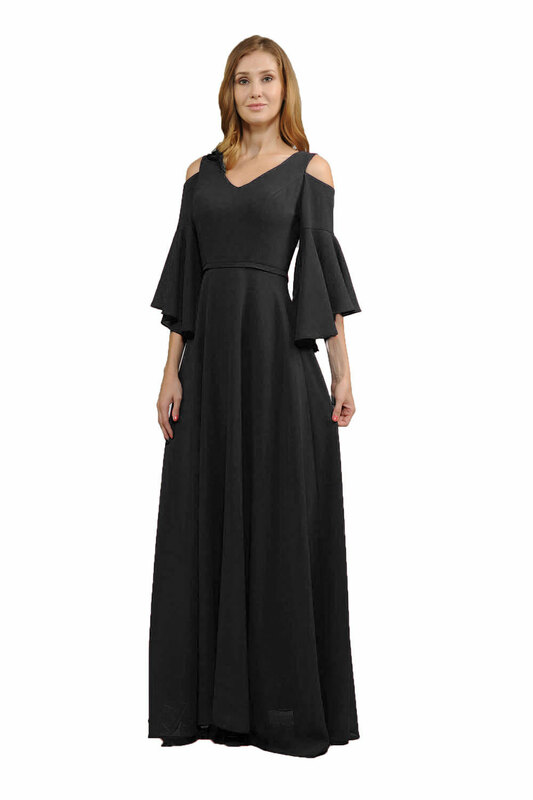 Elegant Pebble Georgette long dress with V-neckline, cold shoulder and sleeves. Back center zipper closure. Perfect for bridesmaids and any other special occasion. It comes in Mauve, Navy, Burgundy and Black colors.